Two airlines have announced they are raising fares to cover the cost of Europe’s new carbon trading plan, effectively passing the expense of the program on to consumers. The move comes just days after the European Union expanded its emission trading system, which has since 2005 imposed pollution quotas on more than 11,000 utilities and manufacturers, to include airlines. As of January 1, any airline arriving at or departing from the EU must have sufficient carbon credits or pay a fine. International carriers will be given emission permits making up 85 percent of the industry cap in 2012 and will have to buy the remaining 15 percent at auction, Reuters reports. According to the International Air Transport Association, the EU’s emission trading system could cost airlines $1.6 billion this year. 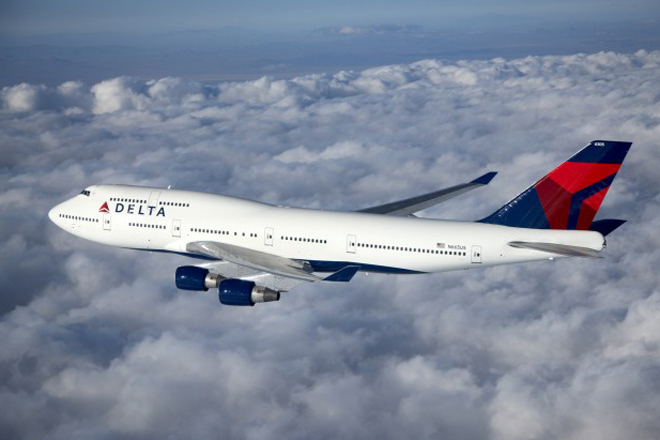 Delta Airlines, the world’s second-largest carrier in terms of passengers carried, said this week it will add $6 to the cost of a round-trip ticket to Europe to cover its anticipated carbon costs. Lufthansa said it will add a surcharge, but didn’t specify how much. According to the Associated Press, the airline says it will have to buy one-third of the certificates it expects to need this year. The emissions quotas are part of the EU’s effort to curb carbon dioxide emissions and reduce the impact of global climate change. The rules require all flights into and out of the EU to have sufficient credits to cover the entire duration of the flight, regardless of where it originated. This has outraged many foreign carriers, who say it is unfair for the EU to impose what is, effectively, a tax on that portion of a flight beyond EU airspace. Under the plan, a carrier flying from Los Angeles to Paris would be charged many more carbon credits than a carrier flying from Rome to Paris, even though the latter flight spends more time over Europe. Several U.S. and Canadian airlines have joined more than 40 nations opposing the EU plan. The U.S. House of Representatives has passed legislation prohibiting domestic carriers from participating in the program. But late last month the European Court of Justice threw out a challenge to the law, saying the “emissions trading scheme is valid,” according to the Agence France Presse. Now China is saying bluntly it will not pay the charges, which airlines must begin paying in March, 2013. The China Air Transportation Association is pressuring the EU to drop the plan, calling its action a unilateral move that does not represent a global effort. India, too, may attempt to scuttle the plan, according to Reuters. The kerfuffle comes as the airline industry continues its campaign to curb fuel consumption and, by extension, emissions. New aircraft and engine designs, such as the Boeing 787 Dreamliner and Airbus A320NEO promise to dramatically reduce airline emissions. But the EU wants deeper cuts in airline emissions, which have increased dramatically over the continent in recent decades. The global airline industry contributes roughly 2 percent of the total carbon dioxide emissions created by human activity. Recent improvements in airplane efficiency have not been able to keep up with increased demand for aircraft and air travel. This means the percentage of emissions from the airlines is likely to grow in the coming years.